Mix and Chic: Gorgeous in green! My absolute favorite color in the world is green. Not too long ago, I declared my love for green here. 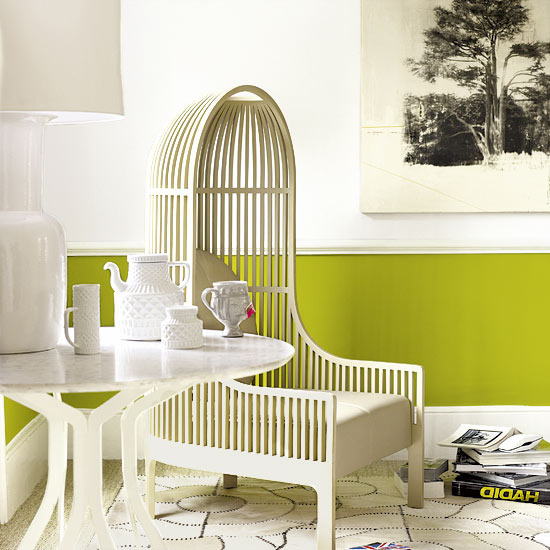 When it comes to decorating, the first color that comes to mind often involves my favorite color. Just a couple of days ago, we hung some olive green curtains in my living room. 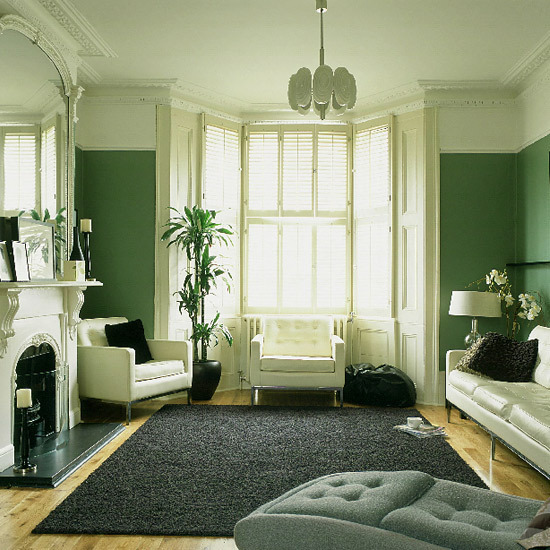 I am not lying when I said I am fascinated with green because we bought 16 identical (yes,16) curtain panels for one room, living room that is. Since my husband was quite busy over the weekend with work, he only managed to hang half of the curtain panels. With all the measurements and drilling work involved, it took him almost 6 hours. Alright, enough about my green curtains. Let's continue with the inspirational pictures below and you will understand why it is such a gorgeous color to introduce to your own home. 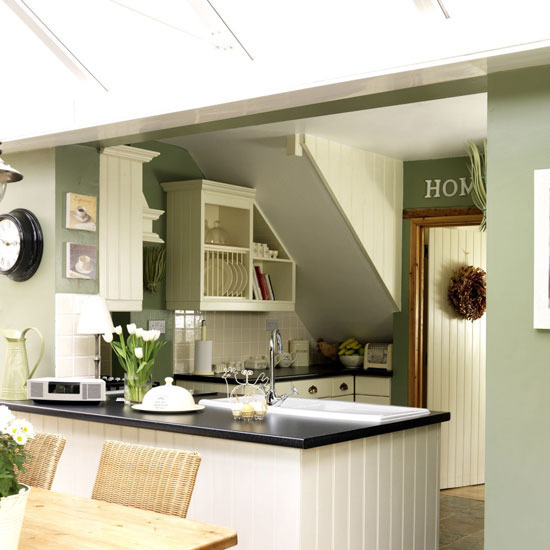 No matter where and how much you use it, whether as a paint color, furniture or accessories, in the living room, dining room, kitchen or bathroom, in small doses or big doses, as a dominant color or an accent color, it is always a winner! I even have the pictures to prove it! See what I mean? Gorgeous ! I love all the prints in the third photo !! 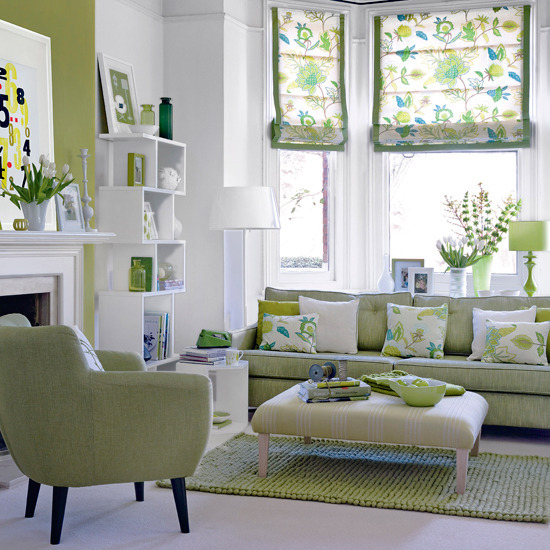 Lovely to see such bright and bold hits of green! Lovely! 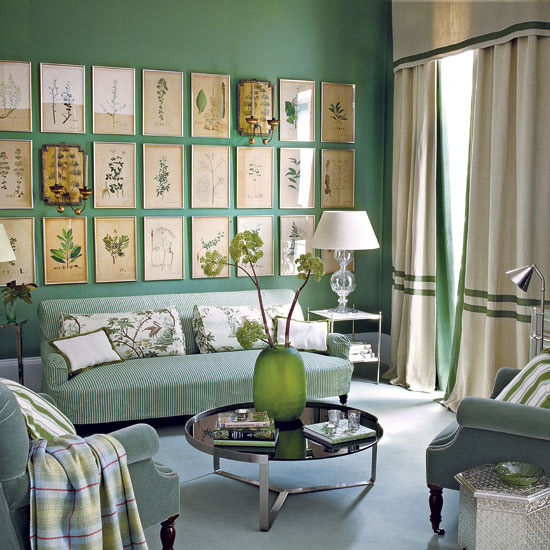 I adore that green living room with all the framed botanical prints - so nice to see many shades of green layered together! The 5th photo down is my FAVORITE! 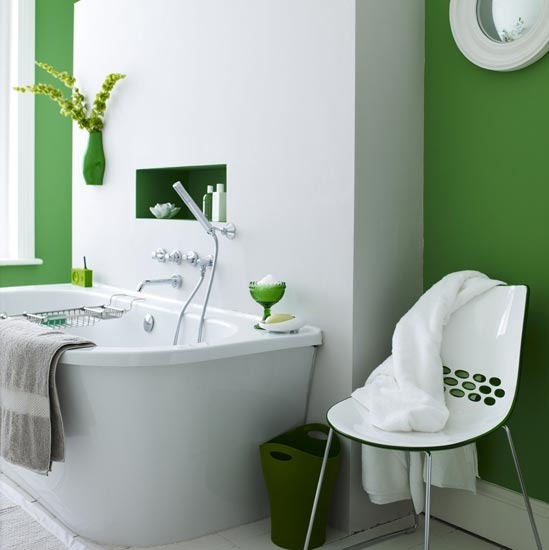 Thats the perfect way to do green! I love these pictures! Green is a favourite of mine too. My last apartment had it in every room. Now I've divided my attention between green and orange. I love these photos! But what I really can't wait to see if your 16 curtain panels hung-wow must look great! Green is so calming. Love that third picture. I am with you on the green. Especially in that yellow tone. 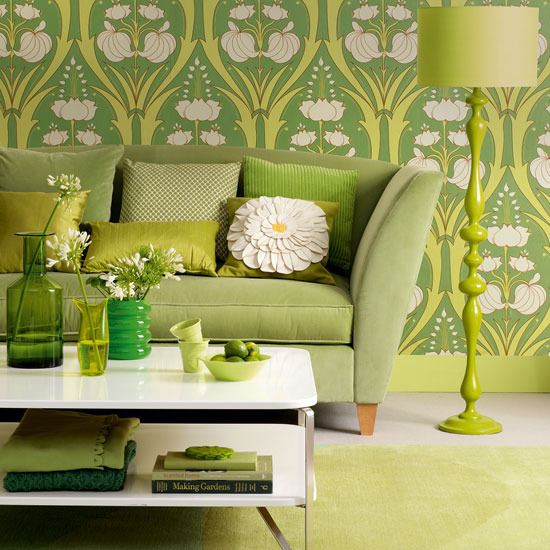 Yes, I have a long love affair with green myself. My latest version is emerald - so rich and gorgeous! Gorgeous images! I don't think green will ever go out of style! Fantastic blog by the way! Jessie...you found some awesome examples of green!!! I love all of those rooms.